On Friday, November 30, the Community Center for the Performing Arts proudly welcomes HIV Alliance for their annual World AIDS Day event from 7:00-10:00 pm at WOW Hall. 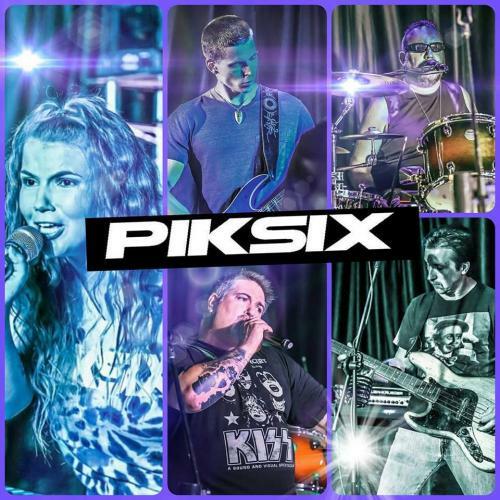 PikSix, a rocking local band, will take the stage at 8:00. World AIDS Day began in 1988 as the first ever world health day to bring awareness and fight stigma around HIV/AIDS. HIV Alliance continues this tradition with their event as a space to honor our combined work in the community to end HIV, celebrate collective successes, and remember those who have been lost to HIV/AIDS. Founded in 1994, HIV Alliance serves communities across Oregon -- including Lane, Douglas, Linn and Marion counties -- through prevention, education, medical and dental care coordination, and behavioral health services. Their mission is to support people living with HIV/AIDS, and to prevent new HIV infections. As one of their annual events, HIV Alliance hosts a gathering and fundraiser for World AIDS Day. They invite the public to not only remember those we have lost to AIDS, but to reflect on the work accomplished since 1988. While HIV infections have decreased over the years, so has funding for vital programs that help folks with HIV live longer, healthier lives; educate the public about HIV/AIDS to help reduce stigma and misinformation; and create a collaborative, compassionate space for the community. HIV Alliance continues to work to ensure that folks with HIV, their friends, families and the community have access to these services and invite you to support this work. Come dance, boogie, and rock and roll to fantastic tunes, nibble on delicious snacks from Sheild Catering, and show your support for a long-standing, stellar organization serving our community on World AIDS Day. Whether you come to the whole event, or just pop in from 8:00-10:00 to see PikSix, we hope to see you there! With a $10 suggested donation, which will go towards supporting programs and services at HIV Alliance, this is a fun (and cheap!) night for a good cause. To find more details about HIV Alliance and the event, or other events during the week from 11/27-12/1 -- including the pre-event at The Vintage from 5:00-8:00 pm where 100% of drink special proceeds will go to HIV Alliance, check out their Facebook at facebook.com/hivalliance.